Whole Body Cryotherapy treatments are administered individually via a CryoSauna. 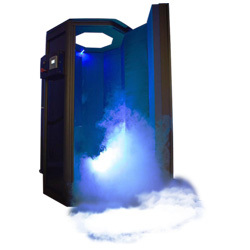 The cryosauna uses gasiform nitrogen to rapidly lower the skin’s top layer to as low as 32°F while cabin temperature drops to a range of -100°F to -210°F. During the two to three minutes of extreme cold, the brain stimulates the body’s organ regulatory functions resulting in energy increase, cell rejuvenation, immune system boost, and overall system self-healing. Local cryotherapy applications are used to reduce pain, inflammation, and swelling in targeted areas. An 8-10 minute session is equivalent to approximately 8-10 hours of icing. To maximize the benefits it is highly recommended to combine your local cryotherapy session with a whole body session prior. 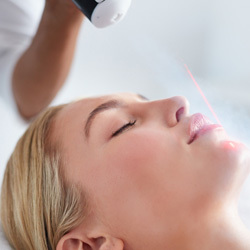 A Cryogenic treatment administered using a controlled beam of vaporized nitrogen. By super cooling the scalp, face, neck, and chest area, blood circulation is improved, collagen production is increased, and skin is left with a natural, healthy glow. Benefits include: decreased pore size, collagen production stimulated which tightens the skin and reduces wrinkles, toxins in skin reduced, reduces inflammation and puffiness of the skin, and can stimulate hair growth.